Last weekend I had my first opportunity to taste the Limited Edition George Washington Rye Whiskey ($185) distilled directly onsite at Mount Vernon at George Washington's Distillery® and Gristmill. The distillery is a fully functional reconstruction of our First President's distillery which in 1799 was one of the largest whiskey distilleries in America. At that time six distiller slaves operated five copper pot stills continuously throughout the year. In 1799, Washington’s Distillery produced almost 11,000 gallons of whiskey, valued at $7,500 (approximately $120,000 today) while the average Virginia distillery produced about 650 gallons of whiskey per year which was valued at about $460. 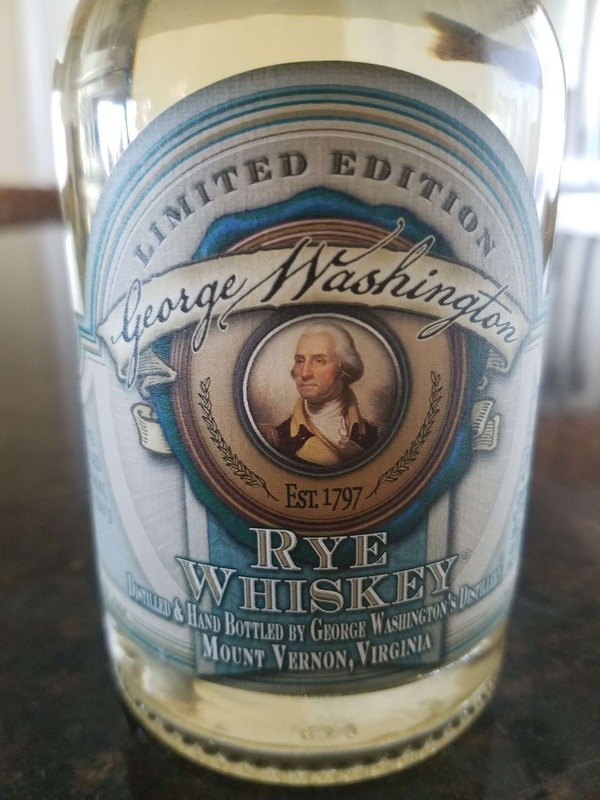 The whiskey I sampled is based on a recipe used by Washington and his farm manager, James Anderson, and was crafted by Master Distiller David Pickerell using original methods available at that time. The spirit was double distilled using a mash of 60% rye, 35% corn and 5% malted barley. For an un-aged spirit it possesses plenty of weight with slight spice and sweetness that burns off slowly. Sadly and unbeknownst to me, Pickerell had passed away a few days earlier at the age of 70. Terrible news and the Whiskey Wash's obituary described how influential Pickerell was to the spirits industry and particularly to American rye whiskey. God bless.